The Public Bridleway should ford the river a few hundred yards downstream. For years now through the ford has been uncrossable owing to erosion of the bank. 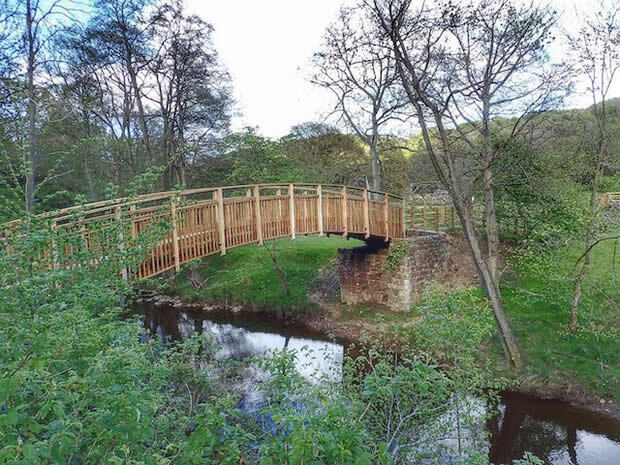 The new bridge follows the line of an old tramway bridge for access to the Whinstone quarries.